Founded in 1958, Clarkes specialises in Africana and general antiquarian books, prints, maps and ephemera. 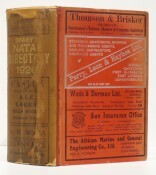 Africana Catalogues are issued four times a year. 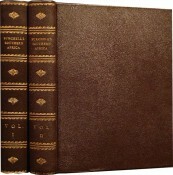 All subjects are covered including, African exploration and travel, missionary endeavour, ethnography, Bushmen and rock art, big-game hunting, military history, the Anglo Boer War, Boer War ephemera, Zulu War and the First World War in East Africa and South West Africa, natural history (botany, ornithology, etc. ), Mining (particularly diamonds and gold), Natal & Zululand, Namibia, art & architecture, literature & politics. Also Maps, prints and ephemera. We offer an active search service for all antiquarian and secondhand books.